We often showcase cable railing completed projects that have stunning wilderness views. However, not all cable railing projects are in rural areas. Some highlight incredible urban landscapes. 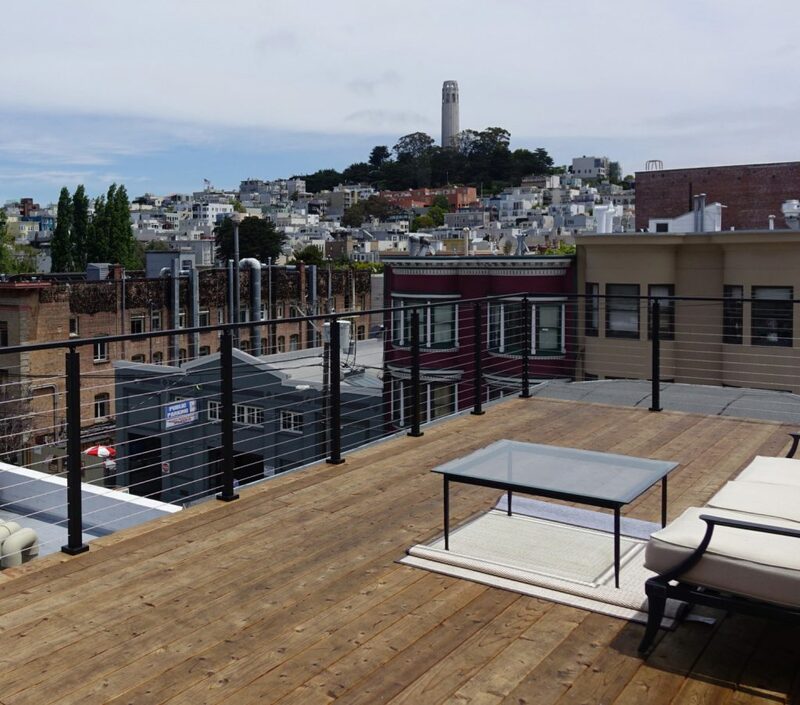 This cable deck railing features a blend of beautiful trees, rooftops, and distant hills. We know that urban and rural areas have show-stopping views to capture. See all the ways you can preserve yours with a cable railing system.